The founders in the process of the company's activities may change. 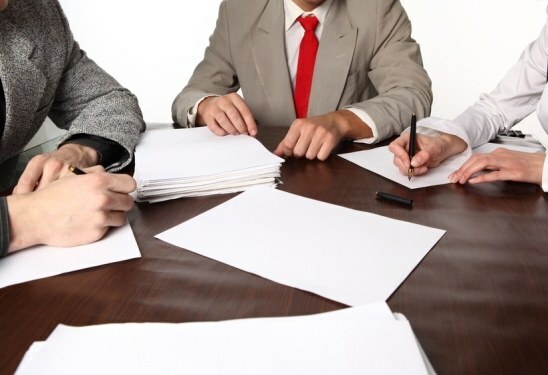 According to article 19 FZ "About limited liability companies", the decision on the accession of the founder, was adopted by the shareholders at the meeting. To avoid penalties, you must properly execute this operation. In the first place receive from the person a statement to take it to the founders of companies. It is made to the Director of the company. The statement can be read: "under article 19 of the Federal law "On limited liability companies" and on the basis of the present Charter, declare to me the members of the community in (name of organization) by making a contribution in the amount of (amount) in cash within 6 months from the date of the decision by the members meeting to increase the share capital of the company". If a participant is a physical entity, ask for his passport, INN (if available). When entering a legal person, it shall prepare the certificate on assignment OGRN, INN, KPP and address. - change of the company's Charter. The results of the meeting will be issued in the Protocol. Enter the details of the new shareholder of the company (full name, passport details and place of residence), the size of the share capital and the nominal value. Make changes to the Charter. Make it in duplicate, sign the Director General and the applicant. No Р14001 (enter a new). In any branch of the savings Bank will pay the state fee for making amendments in the state register. Save your receipt as you will need to provide it to the tax office. - statement in form No. Р13001 and No. Р14001. Submit the documents to the registering authority.